A plate for countless dishes. 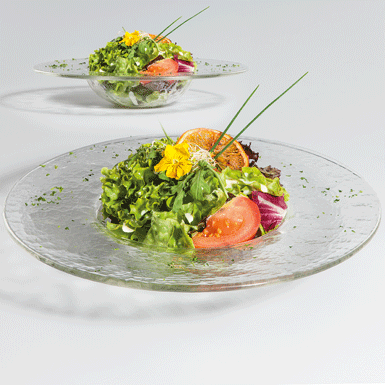 Whether salad, pasta, soup, rice, or a desert - all may be stylishly served in the Cappello. Worthy of a tip of the hat. Hand-pressed and lowered into mould..